I have found that a lot of deodorants are ineffective and also come with a huge list of ingredients that I can’t pronounce. We often say, if we can’t pronounce the ingredient then we shouldn’t ingest it. I think that should apply to what we put on our body as well. It will take a long time to rid my house of products that have a long list of ingredients but you have to start somewhere! Call me crazy but I’d like to make most of the products we put on our body. I searched and searched for a recipe. There are tons of recipes online but I decided to confide in The Prairie Homestead. She’s very knowledgeable so I knew it’d work and there were only 5 ingredients! • Mix dry ingredients together. • Add coconut oil and use a fork to combine it with the dry ingredients. • Add your essential oil if desired. 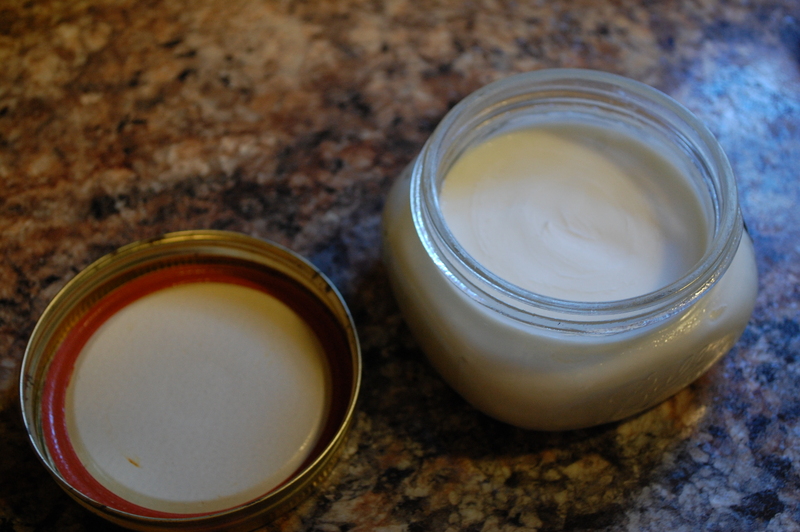 • Congratulations, you just made yourself some all natural deodorant! I put mine in a larger jelly jar with a wide mouth lid. I haven’t tried putting it in an empty deodorant container but I’ve read it can be messy. If you give that method a try, I’d love to know how it works! Coconut oil liquefies at 76 degrees. So keep this in mind. Mine stays paste-like and we just apply it with our fingers. But if it’s super warm in your home the consistency may vary. So far we love this deodorant! Yesterday we went and played disc golf with some friends and squeezed in a crossfit workout and still smelt like lemon and eucalyptus. I say this recipe is a winner! I guarantee you we won’t purchase another stick of deodorant from the store! Today is my husband’s first work day using our homemade deodorant. So today he is putting it to the real test. I can’t wait to hear how it holds up! Don’t forget to follow my page to not miss a post! I love this! I was completely impressed with how well and how long it worked! No mess, no residue, not sticky! So glad it worked well for you! Now you can play around with different scents!